Nancy's Nook : Everybody's got an opinion, including me. 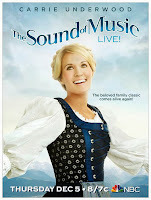 When I first heard that Carrie Underwood was going to play Maria in THE SOUND OF MUSIC, I felt sorry for her. Why would she subject herself to the obviously scathing reviews she’d receive? She is a country western singer, with no acting credits to her name.... and she was going to take on THAT role? So I had to watch her last night. She was not bad, I thought... but there are some scathing reviews this morning. 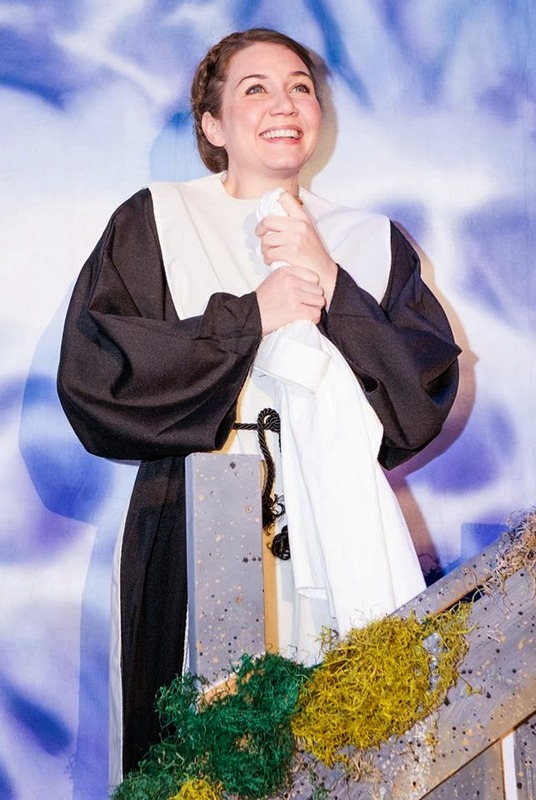 I must say that Carrie was nowhere nearly as good as Heidi Lewis was last weekend in the Firehouse Theatre's production in Carrollton. Click HERE for my post about that. Heidi knocked it out of the park. And I'm still on a high from watching Heidi last weekend. - and then last night I loved that, too (even though I had my critique cap on). Oh, and in between I saw LITTLE WOMEN THE MUSICAL Tuesday night. Yeah. sometimes we need to just twirl around in our living room - or backyard, when it's not icy like today - and sing happy songs. The endorphins get to going ... and I like my endorphins to get to going. Typing this is getting them going, too. Oh, and I have a huge lasagna in the oven - that should last us through this weekend. That gets the endorphins going, too. Oh, and I went to a super-deluxe Christmas party yesterday evening - before the ice came - at Mother's retirement center. They have the ABSOLUTE BEST CHRISTMAS PARTIES THERE! Thinking about that party has my endorphins going, too! I need to go twirl around in our living room and entryway. I think I'll sing "Joy to the World". Maybe Sam will come join me. Yes, we can dance to "Joy to the World". You can tell my endorphins are GOING STRONG!!! !